Door and Gate Solutions is driven by the need to have reliable and professional service providers in the Automatic Doors, Gates & Barriers arena. We established an in house team in 2009 that could be fully integrated into our service delivery model to ensure our client’s response times are met, quality of workmanship guaranteed and that the wide range of installation/system types and manufactures are supported. 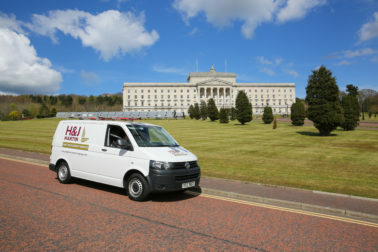 H&J Martin Asset Management Services, part of Lagan Specialist Contracting Group, have one of the largest directly employed and ADSA certified workforces on the island of Ireland. Our team work with each individual client to understand their requirements, either for new equipment or for upgrading existing equipment before designing, installing, and commissioning a solution to meet the client’s specific requirements whilst complying to applicable British and European Standards. Planned Maintenance can be provided to ensure that you equipment continues to function safely, reliably and efficiently and in line with current best practice. 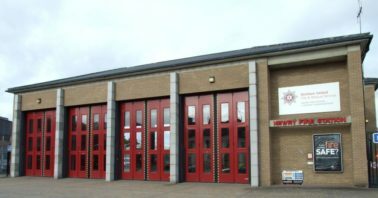 We offer a 24/7-365 days per year callout service, available to all types of door and gate equipment, ensuring Industry leading response times and priority to our Contract Customers.